World Fairtrade Day invites you to be an ‘agent for change’ – something that we are happy to embrace every day! This year we celebrate World Fairtrade Day with a Fairtrade Conference for Schools in Calderdale at Halifax Minster. The conference will inspire and engage children in Fairtrade themed workshops, empowering them to take their own little steps to change the world with Fairtrade…..to become an agent for change. “The overarching theme for this year’s World Fairtrade Day is ‘Be an Agent for Change.’ This can often be an intimidating idea. If I had a pound for every time someone said, “what’s the point, I’m not going to change the world on my own” I’d being doing alright. It’s an overwhelming idea. The world, although a shrinking place, is still huge and it’s easy to feel you alone can have little effect. Well, that’s missing the point. Yes, it’s true one person alone can have little effect, but if everyone had that mind set nothing would ever change. As a Fairtrade company, we’re also responsible for being agents for change. At Natural Beverages our responsibility is to create awesome products that people love. We’re proud of our products and take great pains to ensure they are worth buying because they taste great. Great products give a reason for consumers to choose Fairtrade beyond a guilt complex, the only way Fairtrade can thrive. Fairtrade isn’t a charity and nor should it. It is a way of showing respect to fellow human beings and recognising their effort, allowing them to create sustainable income so they can have a better life. Fairtrade is about overturning the outdated idea of exploiting growers and suppliers to create the cheapest, most competitive product with the biggest margins for the brand owners. 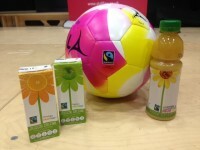 But it is also important that Fairtrade products are priced accessibly to encourage people to buy them. 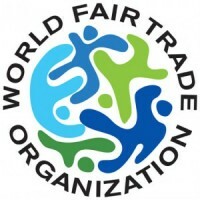 By finding ethical ways of Fairtrade products being able to compete on price against non-Fairtrade products, it gives them a real fighting chance in the consumer world and encourages people to buy Fairtrade, which of course benefits the suppliers further. With our Fruit Hit juices and smoothies and Ubuntu, we’ve worked hard to make sure they not only taste great, but are as competitive as they fairly can be against non-Fairtrade beverages.